The method used to cook the salmon in this recipe is simple and extremely versatile. 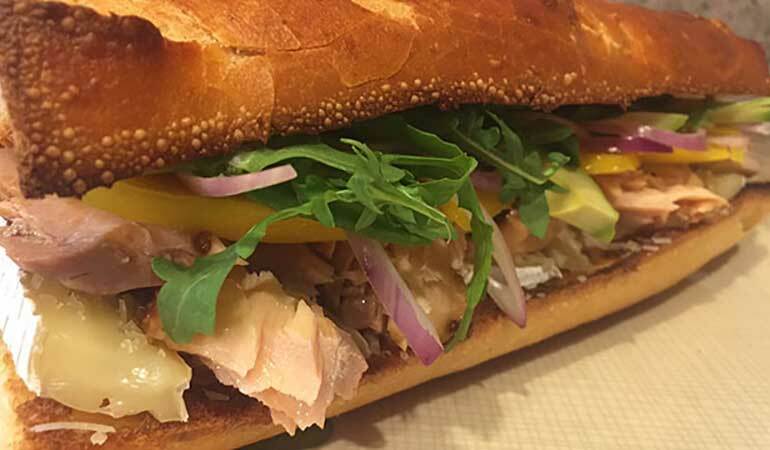 Use the salmon in this sandwich recipe with mango and Brie, on top of an Asiansalad, or as the main course with a side of vegetables. Cover baking sheet with aluminum foil and spray with non-stick oil. Place salmon on baking sheet. In a small bowl, combine Dijon mustard, soy sauce and teriyaki. Spread sauce evenly across salmon. Place in oven and cook for approximately 20 minutes. Slice baguettes in half lengthwise; dab insides with melted butter. Sprinkle one teaspoon of garlic salt on cut sides of bread. Place on aluminum foil and broil until slightly brown. Remove from oven. 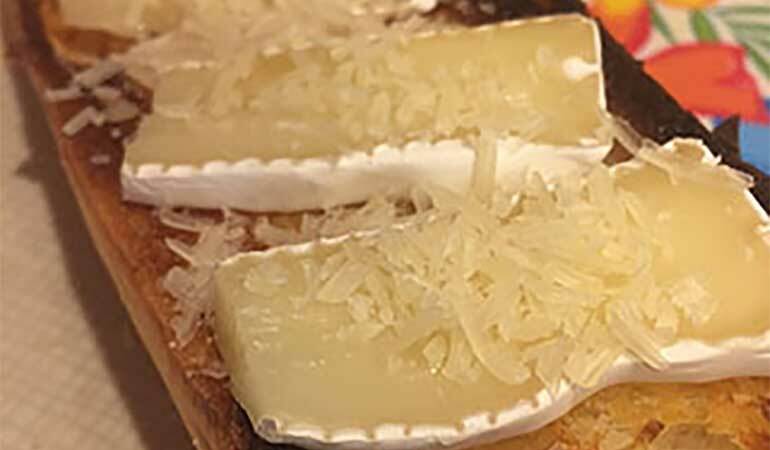 Add sliced Brie on all four pieces of bread; place back in oven, until Brie is warm and a little melted. Remove from oven and sprinkle with Parmesan cheese. Place half of salmon, mango, onion, avocado and arugula onto bottom sides of bread. Close the sandwiches and press down gently to slice in half. Now these delicious salmon sandwiches are ready to serve and eat!